Looks nice doesn't it? A beach, your best mate, and a couple of extra comfy Lounge Seats to relax on. We can't promise anything about the weather, and the beach isn't included with the purchase. 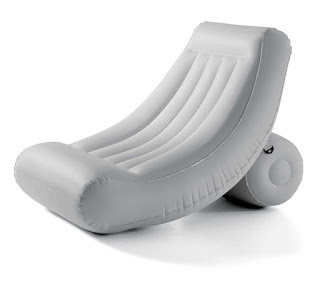 ..but we CAN guarantee the comfiest sit-down you'll have all summer/autumn, regardless of where you are. Comes in 3 cool colours, at just £77 each. It can be yours, delivered to your door within 24 hours... just give us a call on 0208 123 0557. Visit www.hammockheaven.co.uk for more great items! 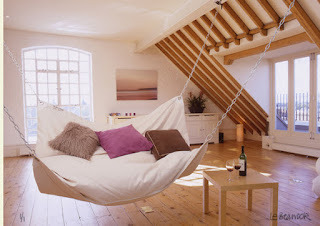 Their very own hanging chair in their room is a great way to treat them, and a great way to make the room look funky and cool. We have a number of great colours and styles, and if you fancy something to brighten up your little'uns room without cluttering up the floor this may just be the perfect answer. And if you are unsure, go get your little Mister or Misses and ask what they think! And it's SOOO easy too! Just a couple of ropes or a couple of hooks and that's it... FREE Delivery too! Why not give us a call on 0208 123 0557 and we can help with any questions. 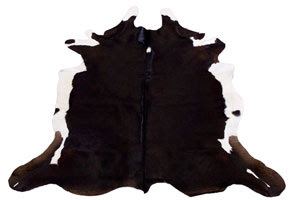 We are glad to say that our long-awaited stock of Cowhides has arrived, and are all now proudly displayed on our site. We've had a lot of people asking about them, so why not go and have a look what all the fuss is about? Funnily enough, the demand for the Reindeer hides has slowed down a little now...strange that Reindeer hides would be at their most popular over Christmas each year! Ps. Don't forget to pop on over to Hammock Heaven while you're online for all your hammocky needs! I can't work out how many Pieces of Eight the Stowaway hammock costs, but it's not many. If you've always fancied an open rope hammock, now is the time to get one as it's one of our Special Offers! One of the best things about the Stowaway is that it folds down small and comes with it's own carry bag, so it's perfect for travelling with. I have a million piratical puns, so I hope you are all appreciating my restraint! Now go over to Hammock Heaven...or else it'll be the plank for you! For those of you lucky enough to have spacious lofts or nice wide living rooms, why not splash out on some real luxury and have the worlds comfiest beanbag hanging from your ceiling? Le Beanock comes in a few different colours and sizes, so you don't actually have to have a penthouse suite to be able to have one. Luckily. Go take a look at this and more on Hammock Heaven! Judith Wood, writing for the Daily Telegraph, has a similar idea. Holidays abroad can be costly stressful affairs, so for those with money or time issues why not treat yourself to a holiday at home? Judith has a list of luxuries that can give you that relaxing break in the comfort of your own home, and we are pleased to say that our lovely Aruba Cayenne hammock is in there, along with the Apollo stand. If you'd like to read Judiths article (and it is an entertaining read!) you can follow the link below. 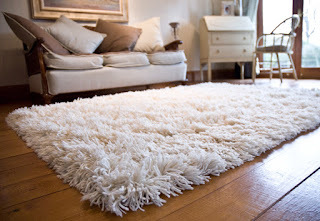 Well, you CAN have more than one rug if you like, we don't mind. So, did we name our lovely new line of rugs after the worst film ever made, after an area of Scotland, or did we just use a random impressive sounding word? Answers on a postcard to the usual address. There may be a prize! You can see more of the Highlander here, along with our other styles. 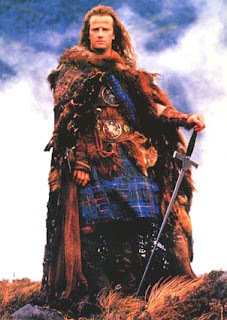 If you mention Christopher Lambert I might give you 5% your order too. Keep your eyes peeled people...the Aruba Cayenne hammock and Apollo stand will be featured in the Daily Telegraph newspaper this week, so if you want to get an idea of how to spend your summer holidays, look no further. I would photoshop Brad Pitt and Angelina Jolies heads onto our models bodies to show you what great company we keep, but I think we might get sued. So I won't. Instead, here's a photo of our Apollo Set...it's the Apollo stand with a Lambada hammock, for those of you who want a subtler colour than the bright stripes found elsewhere. Welcome back to our blog! Today we are going to talk about summer. Summer and ...hammocks. It seems like the world in general is liking the Aruba Cayenne hammock so far this year, and it's a good choice in our opinion. It's rich red in colour with stripes in yellow and dark blue, and all in all lends itself nicely to lazing around in the garden with a glass of wine, watching the world drift by. Sound tempting? It could be how you spend tomorrow! Give us a call and we'll do the rest. We describe them as 'mens pashminas', but they are (or course) unisex. They usually cost £36.50 , but now you can pick one up for just £26.50 ... and dleivery is (as always) free. These pure silk scarves are made in India, in Varanasi to be precise. Some might say that the healing power of the ganges has added to their beauty. There are 27 styles of these wonderful silk scarves in stock and they are moving fast, so if you like them, you should visit www.mypashmina.co.uk today. The price is either £16.99 or £27.99 which is excellent value. Products Labeling Act of 1939 with more precise definitions of cashmere and superfine wool. This is in the US. But pretty sure the standard will be adopted glbally soon.. The new law will not only protect consumers from deceptive labels, but manufacturers also benefit in having clear guidelines to prevent potential violation or product recall by the Federal Trade Commission. All the cashmere and wool products manufactured on or after 1st January, 2007 must comply with the act. to be less than 24%. So for real cashmere , just visit www.mypashmina.co.uk . We have some new silk scarves available from today for you to buy. They are made in Varanasi (India), and they are very nice to look at. Most of them have intricate jacquard weaves, and are woven in a clever way to show different colours from different angles. Hopefully the picture on the left demonstrates this point. These silk scarves cost either £16.99 or £27.99 depending on size and are worth a look. 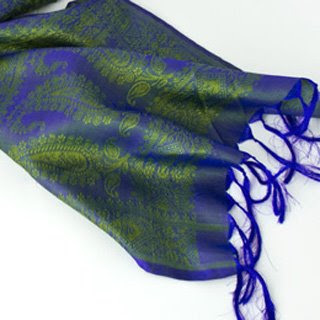 Visit www.mypashmina.co.uk - and navigate via 'pashminas and scarves' . I'm not sure how a party that takes the name of arguably the biggest mass murderer of the 20th century gets elected. To me it sounds like calling your party the hitlerists or similar. Anyway, they are likely to take control of Nepal. Hopefully their policy's are not like those of Mao. But I am worried that they are based on his ideas, and them being in power will spell disaster for Nepal. and the boat neck is only £35 ... there are only 4 left ! Just checking through our website and noticed that we have about 8 cashmere jumpers left - like that in the picture. They are £29, which is a complete steal. Normally we would sell these for at leat £59 , but these are the last few and for the sake of keeping things tidy, you can grab a bargain (or 8!) . see www.mypashmina.co.uk , click on cashmere for her , cashmere round necks and you will find it. 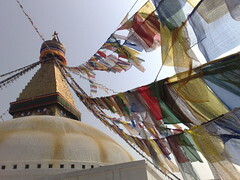 We have just got back from Kathmandu and India. It was a surpise visit for the guys at the factory. We wanted to check everthing was kept up to standard when nobody knew we were coming. It was 100% good. We also looked at a pashmina factory of a backup supplier, and it was awful. So we have told him that we wont order from him unless he sorts out the conditions. Other than that, we checked out some of our new 80% Bamboo / 20% Cashmere designs (www.banavata.com) and have lots of new items in this wonderful material due in approximately 6 weeks. The dyers in Kathmandu are right now busily making 1000 shawls in different colours to chop up and use in our new swatch books. We have carefully selected 118 brand new colours , and will make them available as custom options very soon. 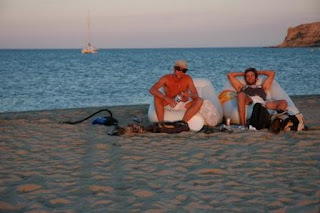 There is a new range of event and beach shelters availble on www.hammockheaven.co.uk . They all share the attributes of being lightweight, quick to erect, and not very expensive. They are a great way to keep the sun off your head.. or the occasional spatter of rain. Prices range from £13-95 for the pocket shelter up to £58.95 for the Go-Zebo. Some of the names are very cheesy indeed ! This is a problem for all manufacturers and indeed all people with jobs. "do you know here is electricity cut off 8 haur every day. no LPG supply ( how to cook or how to colour the pashmina? no transportation" - how can the pashmina business function under these conditions. The combination of a good quality wok, and a powerful burner means that your wok quickly heats to the right temperature for wok cooking. This means you can cook without ending up with a soggy mess. They are a perfect alternative to barbecues and come highly recommended. The set (above) costs £81.95 , and its free uk delivery as always. There are lots of accessories and alternatives in the range to. 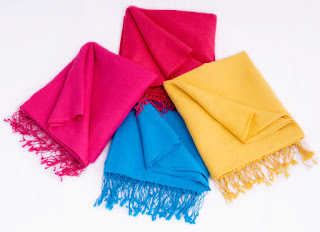 Here are 4 new and gorgeous colours of pashmina stoles that have just arrived and are available with next day delivery from www.mypashmina.co.uk . The price is £39.50. Delivery is free , and they are made from 70 % Cashmere and 30% Silk. So now there are about 60 colours to choose from in stock in this size 70x200cm, and the quality is perfect as always ! Well I wonder how many people will leave it to the last minute to order a lovely valentines gift this year. Royal mail special delivery is probably the best and most reliable guaranteed next day service there is. So because of this, i think people leave gift ordering later and later. The mail system almost gave up this Christmas, but everyone still got their pashminas in time. 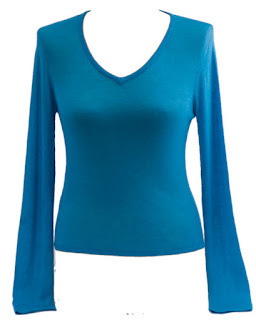 Here is a ladies v-neck made from 80% Bamboo and 20% Cashmere. It is not available yet, but will be soon. The yarn is very fine - 60 count. That means that 60 meters of the yarn weighs just one gram. There are so many benefits to wearing bamboo, you will have to read about them at www.banavata.com ! Just before I started Mypashmina and dealing with cashmere and pashminas, I spent 6 months in Nepal. I came accross a really good charity that helps to keep kids in school. They do some really good work in a direct and efficient way (no toyota land cruisers, hotel confernces and all that crap). Please see www.namastebanepa.com to find out more. So since the beginning, we have had links on the checkout pages of our websites - mypashmina.co.uk and hammockheaven.co.uk giving customers the chance to donate. Between February 7th last year and February 11th this year our lovely customers have donated £1589. Nine generous donations were for £50 , so as promised, I will also give £50 for each one of those. This means the total heading for Namaste Banepa today is £1996.15 ($3878.05) . This is about 30% less than last year which is a bit depressing. But on a positive note it is enough to pay for the books, clothes and other costs neccessary to keep 25 children in school for a year. If you are interested to help, please see www.namastebanepa.com where you will also find a video. Plane crashed on the road we drive home on ! Lucky we went home a bit early yesterday, otherwise Mypashmina.co.uk might be no more, and everyone would have to buy their cashmere and pashminas from somewhere else. This little plane crashed on the E45 , the main road from Gothenburg in to the north of Sweden at 19:48 yesterday. It hit a car. We had driven passed the exact spot just 30 minutes earlier. Incidentally, the E45 starts (as the A45) at Bedford in England, and after Harwich , it contines in Denmark and then in Sweden to the very north. How dull is that ? On www.mypashmina.co.uk , there is now the option to add Swarovski crystals to your pashmina in any of 29 stunning designs. Delivery takes 3-4 weeks and the price depends on the complexity of the design. These can be made on any colour of pashmina., but the pashmina should be 70% Cashmere and 30% Silk . It is not possible to get the crystals to set nicely on the pure cashmere pashminas. Visit www.mypashmina.co.uk to find out more. These brands will be at Stockholm fashion week part 2 ... the websites are pretty nice looking, so we are looking forwards to seeing the clothes too! Review of the airboard on Ski-Sunday. 80 kmph on his first day. Available from www.snowhead.co.uk ! Here is some advance notice of a very exciting new product. It is made form 100count cashmere. Basically the number of count is the number of meters of fibre that weighs 1 gram. So 100count means that 100 meters of cashmere fibre weighs 1 gram. i.e. it is a very thin fine thread indeed. The usually count for knitwear is 28count, or on fine lightweight knitwear for summer we often use 60count. Well, what could be more romantic than a pashminas covered in hearts ? Lots of things, but this is still very nice. This pashmina has a baby blue background and bright fuschia hearts all over it. It is 70% Cashmere and 30% Silk and measures 45x200cm. The price ? Only £38.50 with free delivery. Where from ? www.mypashmina.co.uk of course ! Personally , i think that because cashmere just makes you want to cuddle .. it is one of the romantic gifts around for St. Valentines day. One of the great hits of last summer.. (so popular in fact that theEuropean distributor has been out of stock since last August! ) .. is back in stock on February 15th. 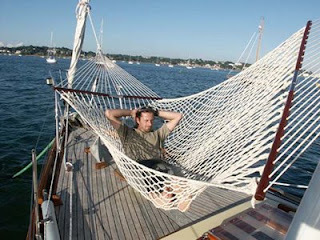 The Hawaii Floating Hammock redefines style and function for beach and pool accessories. With its revolutionary design, the Kelsyus™ floating lounger transforms from a compact, lightweight disc to a 66"x40" floating mattress in seconds. While its inflatable perimeter keeps you afloat, its nylon mesh surface allows water to seep through, keeping you cool and relaxed. It's still under £30 with free uk delivery. See www.hammockheaven.co.uk for more information. 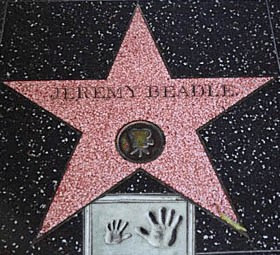 Television presenter and prankster Jeremy Beadle has died aged 59. One of ITV's most popular hosts during the 1980s, he was admitted to hospital last week suffering from pneumonia. He was best known for fronting You've Been Framed, Game For a Laugh and Beadle's About, but raised millions for the charity Children with Leukaemia. Former You've Been Framed producer Dianne Nelmes said he was known for his pranks, "but in reality he was the kindest person you could ever meet". These excellent hammocks made from parachute silk are now available on www.myhammock.co.uk. They are very light weight, starting at just 200grams for the kids size, and the heaviest hammock is just 600grams and big enough for 2 adults. They come with a built in pocket. The fabric is fully breathable and very strong. The range of colours is excellent. The double hammock is just £29.95 with free delivery in the UK & Sweden. We happened to be in Switzerland recently to try out the airboards, ski helmets and ski goggles available on www.snowhead.co.uk. 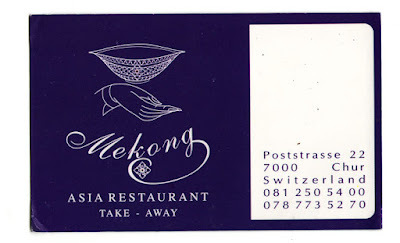 I have to recommend this excellent Thai restaurant in Chur. They serve Som Tam (papaya salad), which is quite hard to find outside Thailand. We went there twice and all 5 of us really liked the food. How to wear a Pashmina ? This video shows you how to wear a pashmina scarf. Its made by the author of http://travelista.com an excellent site full of great travel tips . As for the best place to buy your pashminas - try www.mypashmina.co.uk ! Pashminas - Worth fighting over ? Street fighting over a pashmina - This video clip from 'Smack The Pony' made us at www.mypashmina.co.uk laugh anyway ! A hammock makes an excellent gift for newly weds. 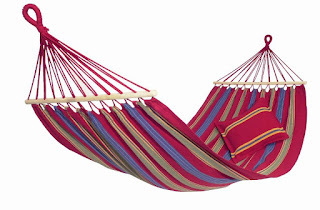 The hammock shown on the left here is called the 'Romantica'. 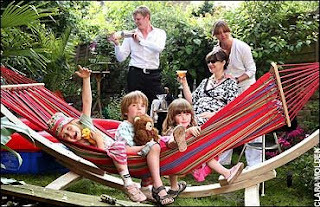 It is made by La Siesta, and you can buy one for £55 from www.myhammock.co.uk (delivery is free). 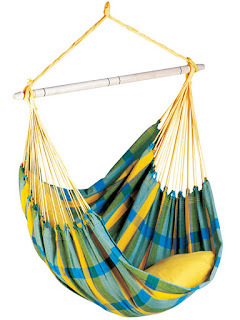 If the happy couple might prefer their hammock with spreader bars, then how about the Palacio hammock from Amazonas. It is as big as a double bed and is availble from www.hammockheaven.co.uk. Here are some pure cashmere hats and scarves dyes with vegetable dyes. The range of colours available in cashmere dyed with vegetable dyes is limited at the moment, but with practice and some experimientation it should grow. The exciting thing about these colours are how well they complement each other. They all have a wonderful depth which somehow seems superior to the sythetic dyes. All items on mypashmina.co.uk will soon be available in a range of 10 natural colours. The main benefit of using vegetable dyes (and the driving force behind the idea), is environmental. An incidental benefit is that the cashmere feels even softer than usual, which is quite incredible. There are a couple of minor disadvantages. Namely, the items should be dry cleaned only. Wet washing may lead to some loss of colour. Wholesale enquiries are more than welcome. 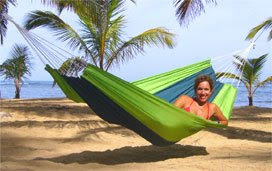 Myhammock.co.uk is the best place to buy LA SIESTA hammocks in the UK. There are 14 styles of hammocks, each coming in various sizes and colours. Most of the hammocks are from Brazil, but a few come from Nicaragua or Mexico. 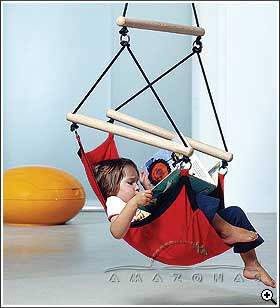 La Siesta have innovated by making their hanging hammock chairs extra big and calling them loungers. You can get you legs inside which is amazingly comfortable. Pantone - a monopoly on colour ? Wow - $4200 for 1900 colour swatches in pantone colours. Truly expensive! These are pretty useful in the cashmere business. You can order them at www.pantone.com . I'm surprised that a low cost competitor hasn't emerged. Well, Kathmandu is completely shut down again. There is a general strike and people are out protesting about the rise in the price of petrol. It was 67 rupees and is now 80 rupees .. (about 60p up to 75p) , a big deal when a typical monthly flat rental is about 800 rupees. This must be very frustrating for the people of a country which has enough Hydro-Power to provide electricity to India , and become as rich as some of the middle east states on the back of this. On another level , it means that our incoming shipment of cashmere for mypashmina.co.uk is delayed by 3 or 4 days, a few customers will get probably get grumpy about this and of course in a small part it harms our business and the lively hood of the workers in the factory in Kathmandu. the root cause .. corruption and greed . 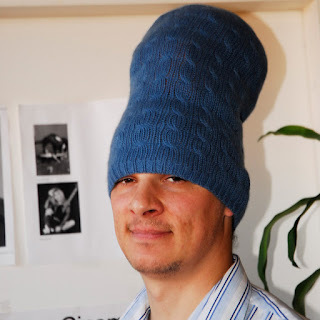 This is me , doing a bad impression of Marge Simpson.. The hat is a silly shape .. but i have to say it was not our design.. The important thing is that the wonderful colour comes from natural dyes, not synthetic swiss dyes. This gives it more depth. The other great thing about natural dyes is that they naturally complement each other. So wearing cashmere in a few different colours at the same time is easy. This hat is pure cashmere, amazingly soft, and not available yet. The remaining stock from the 2006/7 range is priced to clear with savings of 20-30%. It's a good opportunity to buy some high quality ski goggles or ski helmets. All are made by Alpina, which is a quality brand and one of the top brands in europe. Mypashmina.co.uk has now made available these stylish pure cashmere scarves. Only £44.50 with free delivery which represents excellent value. All the pure cashmere items are hand made in Nepal, and the production facility in Kathmandu now employs over 60 people. Cashmere is one of Nepals few successful exports and is important for the Nepalese economy.